Bio: Kathy Hildebrandt is an international award winning artist whose primary medium is pastel. She is a self taught artist who also paints in several mediums. Her interest in art began in the mid 1980’s but was put on hold while she pursued her Certified Management Accountant designation and career. 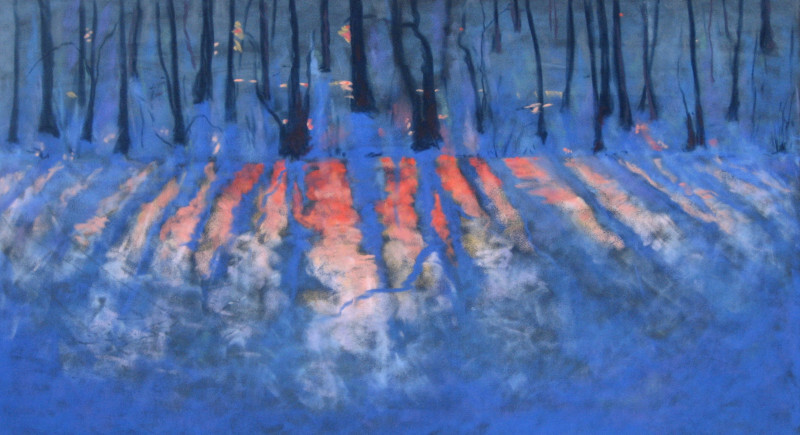 in 2001 Kathy started to seriously pursue art, focusing initially on landscape painting. While still working in oil, acrylic, and graphite, pastels are now her medium of choice. The immediacy of pastels, along with the luscious colors and textures captivated her and allows her to achieve her artistic visions. She has pursued her studies in pastel with Dianna Ponting, Gaye Adams, Roberta Combs. Kathy is a full time professional artist and an instructor in all mediums at Green Palette Art Studio in Calgary. She is a signature member of the Alberta Society of Artists, the Society of Canadian Artists, Pastel Artists Canada, the International Guild of Realism, Federation of Canadian Artists, and the Pastel Society of America. 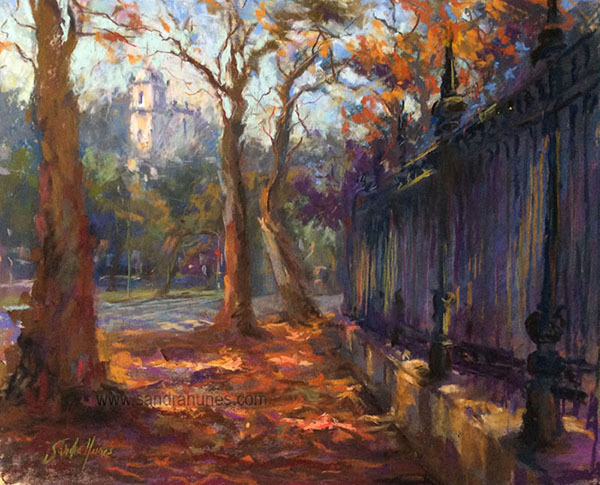 Kathy has received Master Pastellist status with Pastel Artists Canada and has achieved Master Circle status with the International Association of Pastel Societies. Currently (2017) she is the on the Board of Directors of two Canadian art associations. She is the Secretary of the Society of Canadian Artists and the Vice President and Director of Pastel Artists, CA. Medium: Pastel; oil; Acrylic; watercolour. Style: While drawn to many painting styles, realism is where Kathy# heart lies. She strives to capture all the details and the likeness of her subjects as she sees them. She is intrigued by detail and excited by vibrant color. Navigation: Main menu remains at top of page. Gallery: Still Life; Old News Series; Games Pieces Series; Toys in the Attic Series; It’s all in the Title Series. Image View: Thumbnails open in a viewer, and may be scrolled. Details are provided on medium and dimension. Download is only possible as WebP files, which need a convertor to view. First Loves is 24 x 23 ins. Bio: French artist Dominique Houard was born October 1968, youngest of four girls. She studied art and literature at college(Lycée Jules Renard, Nevers), and pursued her artistic formation by studying the greats, and especially the techniques of realisim and trompe-l’oeil. Settled in central France, in La Charité-sur-Loire in the Nièvre. 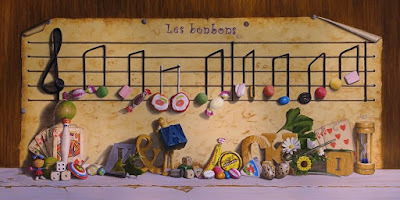 This is where she undertook her artistic studies and researches, supported also by Jacques Poirier, master of Trompe-l'oeil, with whom she discovered an affinity in 1996. Dominique Houard has exhibited her work frequently, at the Taylor Foundation as well as at major Salons, and amongst a group of Realists, directed by Henri Cadiou, but always keeping to her personal style, made of passion for details, tricks and mystery. She gathers improbable things, from past and present, and arranges them around a riddle, of which the solution can only be found in playing the game, being guided through a universe at the same time familiar, strange and disturbing. Astonishingly precise, even in pastel, she creates a strange atmosphere without seeming to have touched anything. Even her signature is a creative placement. She is a silver medal holder since 2013 of the society of Académique Arts/Sciences/Lettres. 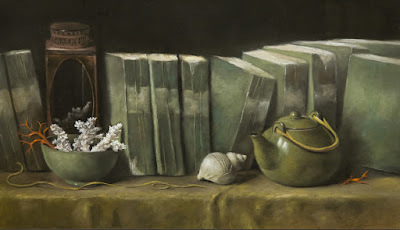 Dominique was awarded Master status by the French Pastel Society in 2015, with whom she first exhibited in Feytiat, 2002. Subjects : Still life. Her work is reminiscent of that of Kathy Hildebrandt and Kari Tirrell. Navigation: This website is in French. Main menu remains at top of page. Gallery: The galleries are arranged chronologically, and by medium. Image View: Thumbnails open in a viewer, and larger images may be scrolled. Details are provided on medium and dimension. Download is not possible. 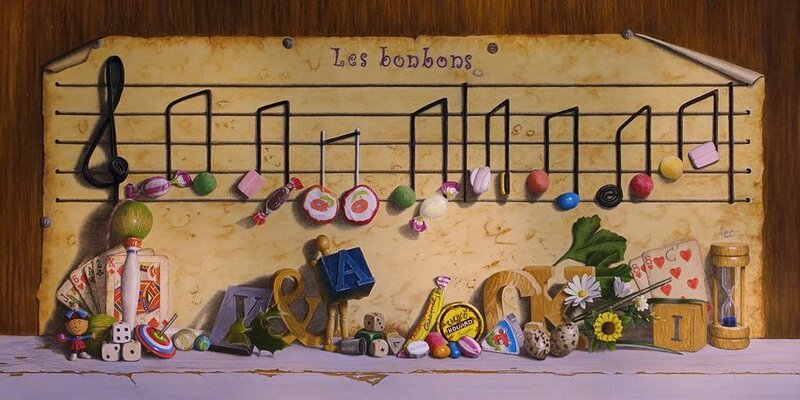 Bonbons is 43 x 80 cms. Bio: Silja Salmistu is an Estonian living in Denmark. She graduated from Tartu Art School (Est) in 1986 as a designer-decorator, and from Tartu University in 1994 as a painter. She has participated in exhibitions since 1987, mostly in Estonia, but also in England, Finland and Denmark where she moved Denmark in 2002. She is a recent Pastel 100 Award winner. Subjects : Still life, flowers, landscape. "Painting still life, a silent existence of ordinary things, fruits and flowers, is a meditative process." Style: Representational. But very loose and expressive. "The Estonian artist Silja Salmistu has taken the simple composition and illustrates the still life genre as a living tradition, which also can accommodate changing opportunities. She uses traditional composition where there is both an awareness of tradition and of renewal to trace her pictures. Silja creates a visual and spatial expression, where she provides space for various familiar elements, such as flowers, vases, fruits, tables, chairs, books, pictures and other little things – things which make a kind of game of miming reality. Silja has a great compositional ability, where she with a relatively simple and efficient installation creates dialogue between the different things and allows as much space and value as possible. She lets different contrasting objects play against each other's shape, color, texture and size. The light which is an important factor in Siljas images, capturing her in a very special way, so you get the feeling of light wrapping around the objects and give them life in a wonderful play of colours." Image View: Vertical slice images intrigue you to explore further. Details are provided on medium and dimension. Download is possible. 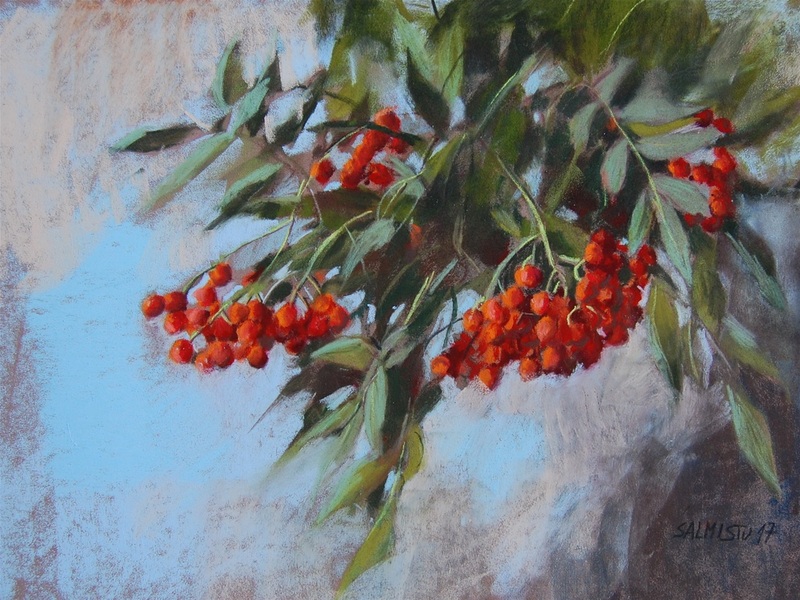 Rowanberries is 27 x 35 cms., 1280x960, 482 KB. Bio: Catherine Creaney is an award winning Irish Artist from Dungannon in Co. Tyrone. Primarily self taught, her work has been exhibited in numerous selected group exhibitions throughout Ireland and the UK. Her work focuses on capturing the character and individuality of the human form through the use of pencil, pastel and oil. Her influences include artists from the renaissance period such as Durer and da Vinci, and later artists such as Caravaggio, Rembrandt and Vermeer. She has taken part in many public exhibitions in Ireland including the Royal Ulster Academy Annual Exhibition held in Belfast and the Royal Hibernian Academy Annual Exhibition in Dublin. Catherine has received several awards for her work including the ESB Keating Award and Silver Medal for an outstanding art work at the 185th Royal Hibernian Academy Annual Exhibition, First Place in the 2014 Artist’s Magazine All-Media Online Competition and twice winning The Drawing Prize and The Rowel Friers Perpetual Trophy at the Royal Ulster Academy’s Annual Exhibition. Most recently she was awarded the Henri Roché Award and the People’s Choice Award at the first Italian International Pastel exhibition in Rome (2017). Technique: Catherine explains: "I take influence from all forms of art including film, where I find lighting effects and scene compositions inspiring. The work of Lucian Freud and his almost brutal honesty in capturing people has also been an influence and I am inspired in my own work by this honesty.The focus of my work lies mainly with portraiture. Lighting and expression being key areas that a lot of my compositions centre on. I use lighting to create a mood and enhance my compositions, being influenced by artists such as Rembrandt and Caravaggio and their use of chiaroscuro. I like the drama and three dimensional rendering that chiaroscuro offers and my aim is to explore fully various methods of capturing light within portraiture. I purposefully choose expressions in my portraits that can be open to interpretation and offer a glimpse into the internal world of the sitter. I have started incorporating backgrounds that also offer the viewer a possible insight into the subjects world." Style: Representational. "In my work my focus is on exploring the transient nature of human expressions and effects of light upon the human form. My major influences come from the art of the Renaissance period, being left awe struck by the work I viewed on a visit in my mid twenties to Florence. Studying the works of Leonardo da Vinci and the subtleties of expressions he achieved I have in my own work experimented with various techniques to capture human expressions in both the mediums of soft pastel and oil paint. I aim to create portraits that display the human expression in its most intangible form that animates the static work. I intentionally create portraits that capture people as faithfully as possible. I find the character and perceived imperfections in a face show the unique identity and life of the subject." Navigation: Main menu remains at top left of page. Image View: Large images are simply viewed by scrollingdown the page. Details are provided on medium and dimension, and sometimes background information is also provided. Downloading is possible. Looking Back is 54 x 68 cms., 654 x 800, 85.7 KB. Bio: Bethany Fields is an American contemporary artist known for her pastural landscapes. Bethany graduated from Texas Tech University with a Bachelor of Fine Arts in Theatre Arts She went on to perform professionally and continued honing her skills in composition and design working as the on-air talent and designer for a DIY web series in Burbank, CA. She has worked as a professional lifestyle photographer for the past 15 years which naturally led to landscape photography and painting. In 2016, Bethany exhibited at both the Salmagundi Club and the National Arts Club in New York, NY, where her work was selected for an ongoing exhibit at the Butler Institute of American Art in Youngstown, Ohio. She travels nationally and internationally for art societies and workshops, and produces her own YouTube channel, focusing on teaching and demonstrating her pastel techniques, art branding, and artist studio process. Bethany is an active member of the American Impressionist Society, The Degas Pastel Society, and is a Signature Member of the Pastel Society of America. Her work was featured in a piece by Michael Chesley Johnson in the December 2017 issue of the Pastel Journal. Image View: Large thumbnails enlarge in a new page. Details are provided on medium and dimension. Saving/downloading is possible. Morning has broken is 12 x 18ins, 600 x 402, 166 KB. Blog: http://www.bethanyfieldsblog.com/ You can find blog tips, insights into her work process, videos on YouTube, behind-the-scenes details. Bio: Jacob Aguiar from Plymouth, Indiana, took a leave of absence in his third year of naturopathic medical school at Bastyr University, Kenmore, Washington, to spend time with family and to pursue art. After coming upon the landscape pastels of Richard McKinley, Jacob immediately purchased his first set of Rembrandt pastels, and traveled throughout the west, studying with Richard McKinley, Albert Handell, Clark Mitchell, and Marla Baggetta. 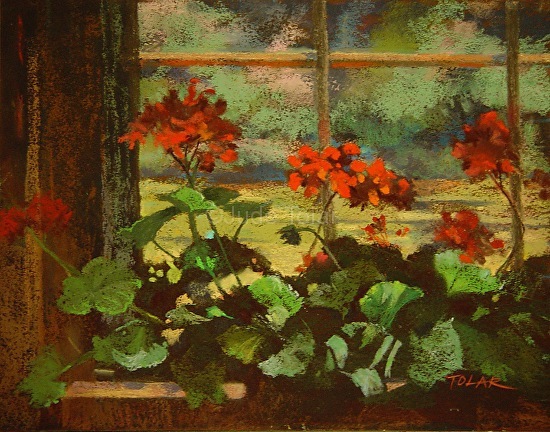 He was accepted into several national shows including IAPS, Pastel Society of the West Coast, Northwest Pastel Society, Pastel Painters of Maine, and Pastel Painter Society of Cape Cod. Jacob returned to Seattle to finish his last two years of school. He now works three days per week as a naturopathic doctor in Portsmouth, New Hampshire, and much of his off time is devoted to art. 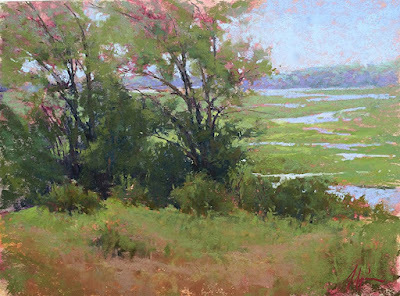 Jacob teaches regular classes in Westbrook, Maine, as well as plein air and studio workshops around the country and internationally. He is a signature member of the Pastel Society of America and a professional artist member of the Copley Society in Boston. 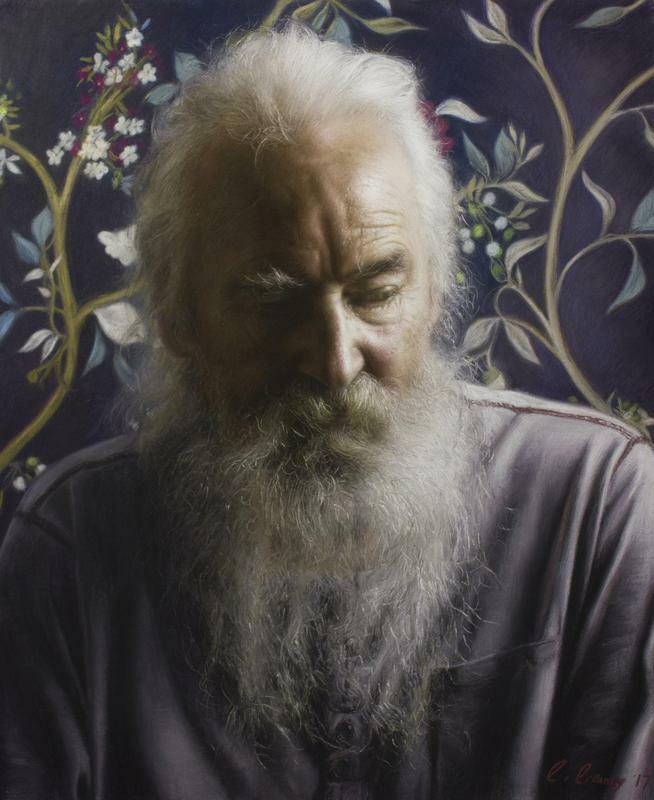 Two of his paintings received Honorable Mention in the 2015 Pastel 100, and Jacob was awarded 2nd place, landscape and interior, in the 2016 Pastel 100. Navigation: Main menu remains at top of page. A FineArtStudioOnline web design. Gallery: All; Originals; Limited editions; Open editions. Image View: Large thumbnails enlarge in a viewer and may be scrolled. Details are provided on medium and dimension on mouseover. Saving/downloading is possible, Overlooking the Marsh is 12 x 16 ins. 900 x 666, 378 KB. Bio: Suzanne Godbout has been a pastellist since 1995, after 30 years of drawing in graphite, and an introduction to colour via oil paint. Suzanne is a professional artist who conducts conferences, demonstrations and workshops to further the medium. 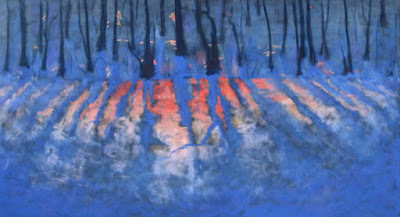 Her works have been exhibited in Canada, and at Giverny in France. She prefers to work directly from the subject, be it still life or landscape. 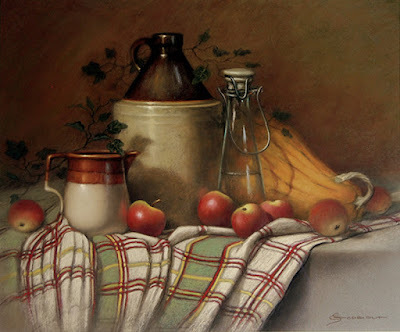 Suzanne was President of the Pastel Society of Eastern Canada from 2005 to 2011, she has attended internships and demonstrations with pastel masters in Quebec and the United States and is recognised as a role model in the medium. With 40 years of teaching experience, she has developed effective teaching tools and gained an enviable reputation for her ability to pass on her knowledge. Style: Representational. Suzanne credits her musical discipline with informing her painting practice: My formal education in music composition has guided me in the apprenticeship of this artistic discipline - form, rhythm, key, modulation, nuance, phrasing, legato, staccato, crescendo … and I keep on learning every day. Navigation: This website is in French. Main menu is at left side of page. Gallery: Nature Morte (Still Life); Paysage (Landscape); Miniature. Image View: Thumbnails enlarge in a viewer on the same page and may be scrolled. Saving/downloading is possible. Details of dimension are lacking. For any practising pastellist, the basic rule is that you can never have enough pastels. If you had the the complete Roché set, now over 1200 and counting, you might just have reached that limit! Roché Pastels have just updated their website to facilitate online purchase, or just to make available to view the complete range in order to see what you don't realise you need, or what is actually available! Henri Roché are the oldest pastel brand in the world, dating from around 1720 and used by artists such as Rosalba Carriera, and Edward Dégas. 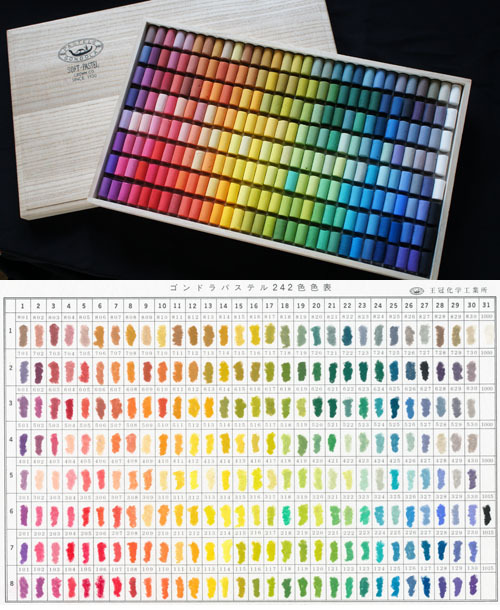 At its height in the 1970s, the entire range of Roché pastels exceeded 1800 colours. Today, Isabelle Roché and Margaret Zayer are busy expanding the collection that currently comprises 1201 colours, divided into ranges of nine gradations. Each range is composed of pure colours that are either gradated with white, black, or crossed with another colour. Manufactured in small quantities, Roché pastels are individually hand-rolled into a form suitable for both bold and detailed work. With exceptionally lightfast pigments and a minimum of binder, the pastels possess a particular texture that allows them to adhere well to a number of supports, as well as display a remarkable intensity and clarity of colour. These are top of the range products, expensive, and not for the beginner. But the quality is superb and the personal service second to none. The full set of colours is visible here on the online shop. Look, lust, select, buy! Bio: An award winning contemporary Brazilian artist from Rio de Janeiro, Sandra Nunes is in love with her native city, her main source of inspiration. She is the first artist that I have posted here from Brazil. She gained her Bachelor’s Degree in Letters and Arts from Rio de Janeiro Federal University, Sandra Nunes travelled widely early in her life, getting to see paintings by Rembrandt, Velasquez, Caravaggio, Frans Halls, John Singer Sargent and her all time favorite painter, Joaquin Sorolla. Most of her work is plein air, done in one or more painting sessions in oil, charcoal, watercolour or soft pastels. She plants her easel wherever there is something that attracts her attention, and the locals and passers by, who are frequently her subject, often offer to purchase her work before she has even finished the painting. Her work has been receiving recognition in important juried exhibition and has been published in prominent papers, magazines and bookcovers in Brazil and abroad. Subjects : Urban landscape; figurative. Image View: Thumbnails enlarge in a viewer and may be scrolled. Saving/downloading is possible. Details of dimension are lacking for the pastels, although usually available for her oils. 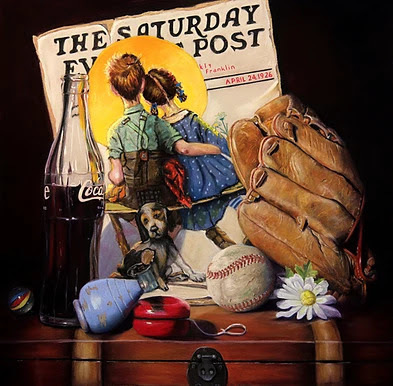 Bio: Dave Francis, from Hudson Falls, New York is a self-taught artist who started his art career doing pastel portraits from photographs before progressing to landscape work. He has been painting professionally for about twenty-five years. Dave states that he continually strives for more realistic imagery while trying to maintain a "painterly" approach in his work. In September of 2003, he was elected to Signature Membership with the Pastel Society of America and, in November of 2005 he was invited to become a member of the Guild of Adirondack Artists. In 2014 he was designated Master Pastellist in the Pastel Society of America. 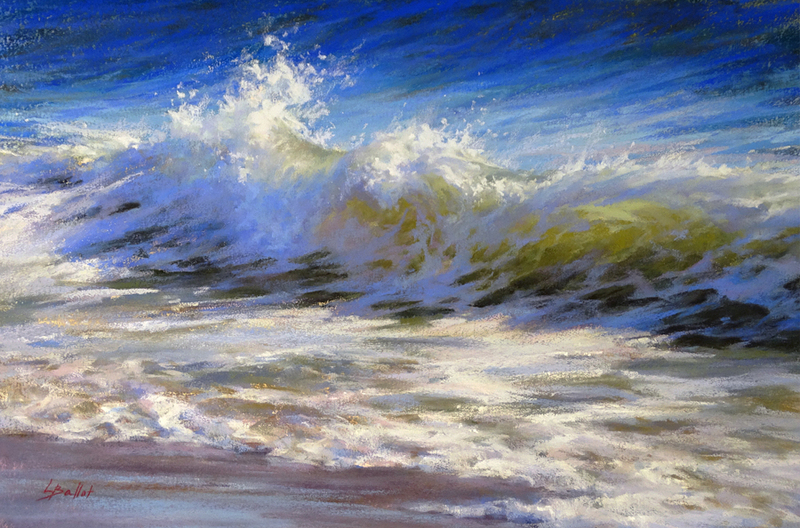 Dave’s work has been included in nine national pastel exhibitions and has received numerous awards. 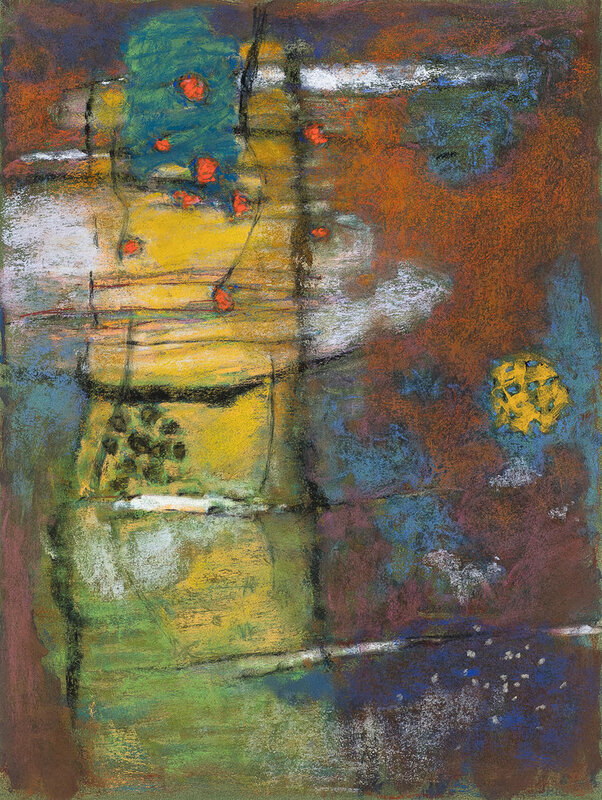 His work was featured in the February 2016 Pastel Journal in a piece called Worlds of Whimsy, together with Kari Tirrell and Kathy Hildebrandt. Navigation: Main menu remains on top of page. Gallery: Still Life ; Miniature pastels ; Landscapes ; Fantasy Art ; Pen and Ink Work; Drawings. Image View: Thumbnails on top of page enlarge in a viewer on same page. These may be further enlarged. Saving/downloading is disabled. Full details of title and dimension are provided. Tah-Dah! 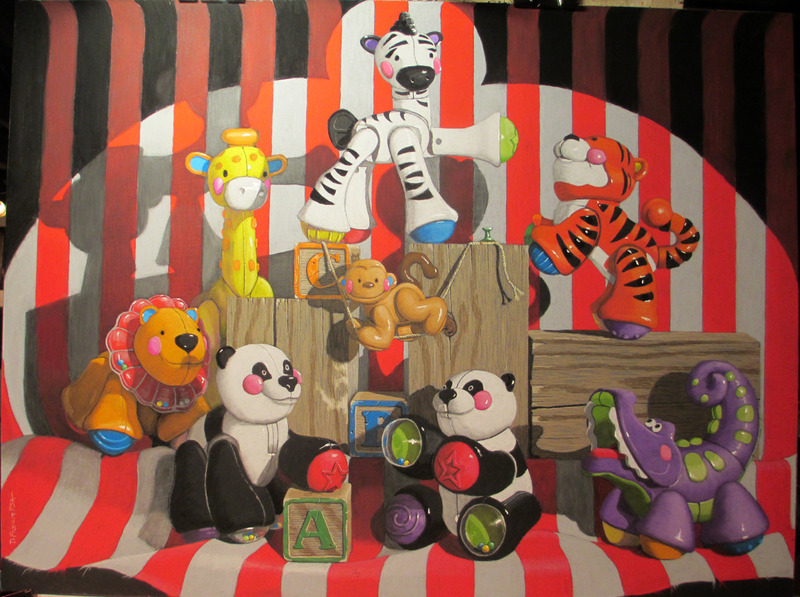 The Grand Finale is 18 x 24 ins. Bio: Nà Luther was born in Vientiane, Laos in 1959. His parents emigrated to France when he was nine. He was educated by the Marist brothers in the Lot valley, but at the age of twelve he discovered pastel, in the studio of Roger Milhomme, uncle of a schoolmate. After a period as fashion designer, he returned to Milhomme at the age of 28 to spend four years mastering his art. He held his first exhibition in 1994 in the François Miron gallery in Paris. He now lives in Paris, in a house stuffed with the booty of his travels, ceramics, ex-votos, shells, rare books – a veritable cabinet of curiosities. Influenced by Chardin, and by the Dutch masters, he declares candle-light to be the best form of illumination for still life. Roger Milhomme, whose sole student he was, taught him how to use his fingers to spread pastel on paper. This manipulation by the pastellist's finger is one of the reasons for the reputation of sensuality attached to the practice of this art. He makes no preparatory sketches. The shapes are born out of flattened colours. The stories told by Nà Luther are illustrated with objects that to our eyes may seem trivial. But he loves them for their simplicity, their fragility, their tears, their cracks: faded roses, old books, coral-covered bowls from wrecked ships, whitened shells ... all charged with stories they hasten to spill. Navigation: Pared to the bone. In French. Image View: Thumbnails enlarge in a viewer on same page and may be saved. No details of title or dimension are provided. 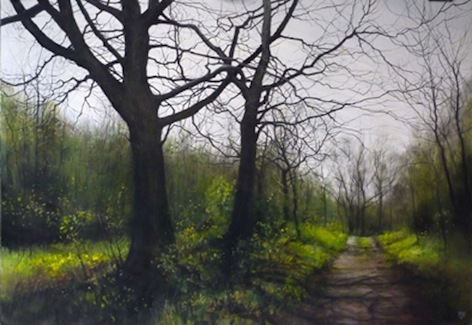 Bio: David Brammeld is a Staffordshire-based artist whose subject matter is the ever-changing urban built environment, and also the natural landscape - particularly the infinite beauty of trees. An award-winning artist with many years experience, David works in various media: graphite, pastel, acrylic and oil as well as mixed media. He is also in popular demand as an art tutor, demonstrator and workshop leader. David Brammeld exhibits nationally and internationally and his work has featured regularly in exhibitions in London - at the Mall Galleries - in annual shows by the Pastel Society, the Royal Society of British Artists (RBA), the New English Art Club (NEAC) and the Royal Society of Oil Painters (ROI). His work was selected for the recent, inaugural Derwent Drawing Prize also held at the Mall Galleries. Elected Member of the Royal Birmingham Society of Artists (RBSA) and Member of the Royal Society of British Artists (RBA), his work is shown several times a year at the Royal Birmingham Society of Artists (RBSA) Gallery. David is guest of honour at the Société de Pastellistes de France exhibition in Feytiat, Limoges, 2017. Style: Representational. "I am intrigued by the urban built environment - the hidden histories of derelict buildings, old disused factories and houses - they all have a story to tell. I also produce treescapes - being fascinated by their shapes and character especially in autumn, winter and spring when their strength and beauty are revealed." Navigation: Main menu remains available at top of page. Gallery 1 seems inaccessible. Gallery: Gallery 2 Treescapes ; Gallery 3 Prints. Bio: Paula Pearl graduated from Syracuse University with a Bachelor of Science Degree in Advertising Design/Photography, and began a career in photography in New York City. She later became involved in quiltmaking and fiber arts and when a friend mentioned that some of her (award-winning) art quilts resemble paintings, she decided to give painting a try. Starting with watercolour, she soon after tried her hand at pastels and the rich intensity of the colors and the layering effects that are possible with pastel make it her medium of choice. Paula has studied watercolor painting with Bill Senior and pastel painting with Julie Friedman. She has had several solo shows including Alfa Art Gallery, New Brunswick, The Shelter House Museum, Newburg, New York and the Gallery on the Boulevard, Kenilworth Library, New Jersey. In addition, many of her paintings are in private collections.She has won numerous awards for her work, among them, Tewksbury Historical Society Show, 1st Place Landscape, MSHAC Overlook Hospital Award of Excellence, WAA: Jeanette Golda Memorial Award and an Award of Merit. 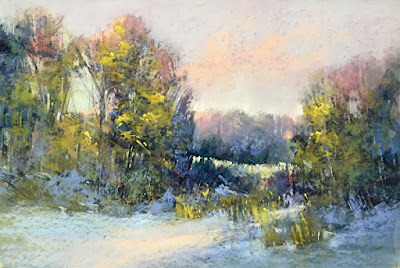 Paula is a Signature Member of the Pastel Society of New Jersey, and an Associate Member of the American Pastel Society. Her work was featured in The Artists’ Magazine, April 2017 as an Annual Art Competition finalist. Style: Representational, painterly. Paula’s photographic background has a strong influence on the lighting and composition of her paintings. Always on the lookout for inspiration for her landscapes, she is never without her camera. Navigation: Main menu remains available at top of page. You need to use the back button when you have viewed an enlarged image, to return to a gallery. Bio: Lana Ballot majored in Studio Arts at Stony Brook University, New York. After graduation she worked as a web designer, (like the previous artist, Roger Holmes) while studying painting further, making landscape her main subject. 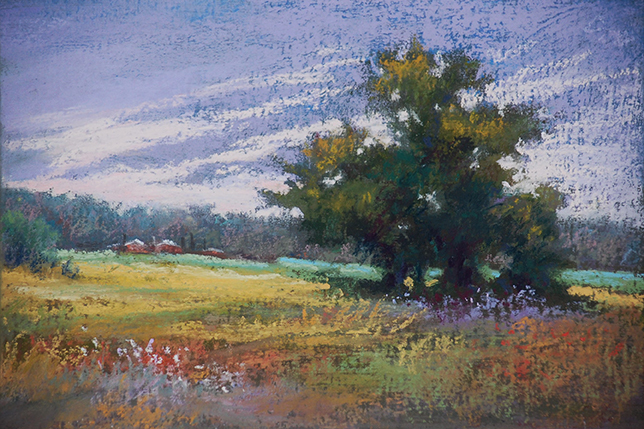 When she discovered pastels as a perfect plein air medium, she spent her free time painting outdoors. Although this early plein air work did not result in a lot of finished paintings, it proved to be an invaluable experience in developing the ability to see how colour, light and atmosphere affect each other in different times of day or season. Lana lives on Long Island, NY where she has access to her favorite subjects - ocean, harbours, beaches etc. She is a Signature Member of the Pastel Society of America and a member of the Pastel Society of the West Coast. She teaches pastel painting in the Atelier in Flowerfield, St James, NY. Subjects : Landscape and Seascape.